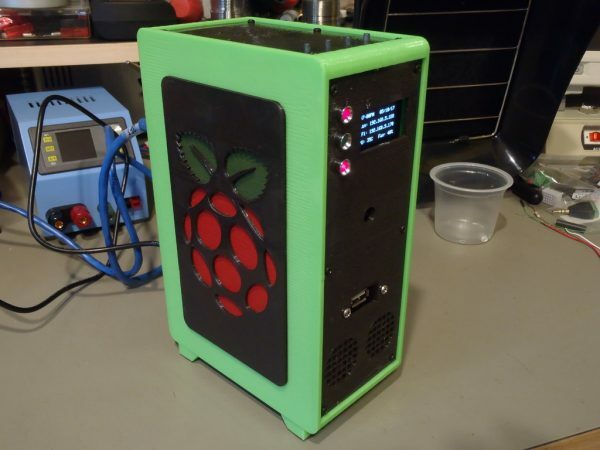 Raspberry Pi Desktop Tower Case #3DThursday #3DPrinting « Adafruit Industries – Makers, hackers, artists, designers and engineers! I setup a Raspberry Pi 3 to experiment with ROS, OpenCV, and whatever else I felt like looking into, and I wanted a desktop case for it. I started trying to duplicate the look of the Intel NUC stuff, but ended up doing a “micro” version of a desktop PC tower case.